Hot on the heels of the outstanding 2015 vintage, 2016 produced one of the strongest sets of white wines from the northern Rhône region in recent memory. The only issue will be actually finding them, as production in many cases was pitifully small. Winemakers often lament that high quality and copious quantity seldom occur in tandem. In 2016 that dictum played out to varying degrees for the white wines of the northern Rhône Valley. In the Hermitage area a double whammy of springtime hailstorms and delayed flowering drove yields down, often dramatically. Fortunately, the fruit that made it through produced some of the best white Rhône wines of recent years, even decades. On the other hand, Condrieu avoided such weather travails and fared much better. Although white wines comprise only about 2% of the Rhône Valley’s total production, they have become a point of pride for virtually every producer in the region. Quality has been on a steep upward curve over the past decade, and the wines, especially Condrieu and Hermitage blanc, now have a solid presence at high-end restaurants and in retail shops around the globe. Moreover, recent vintages have been extremely kind to the region. I can say with confidence that most of the finest white Rhônes that I have ever tasted came from the 2015 and 2016 vintages. Following the huge success, quality-wise and commercially, of the opulent, deeply concentrated 2015s, producers were hopeful that 2016 would follow suit, but Mother Nature had different plans, especially in the Hermitage area. Spring started off cold and wet, with the flowering beginning, reluctantly, almost three weeks later than normal. To make matters worse, hail had hit the Hermitage hill and the surrounding area hard in early April, right at the beginning of bud-break. As Jean-Louis Chave put it, “the buds got really hammered.” This resulted in severe crop loss across the area. 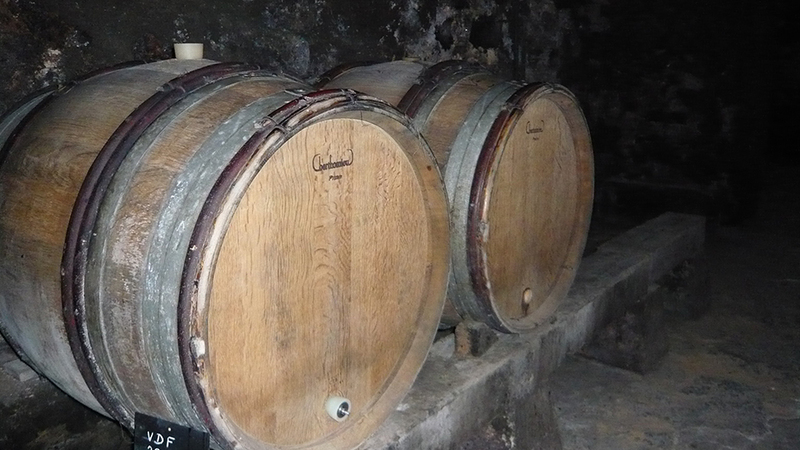 In a number of cases, producers harvested so little fruit that many special cuvées and single-vineyard bottlings, such as Jaboulet’s Crozes-Hermitage Blanc Domaine de Roure and Hermitage Blanc La Chapelle, were not made at all. The silver lining in ’16 was that the quality of the fruit that made it through turned out to be excellent, mostly thanks to a hot, dry late summer with well-timed rains in September, which allowed harvesting to extend into mid-October. The 2016s are generally quite a bit fresher than their 2015 siblings, with racier acidity and an emphasis on minerality and citrus fruits. They possess the balance, as well as the depth, for positive evolution in the cellar, and in most cases I suspect that they will outlive the more opulent 2015s. 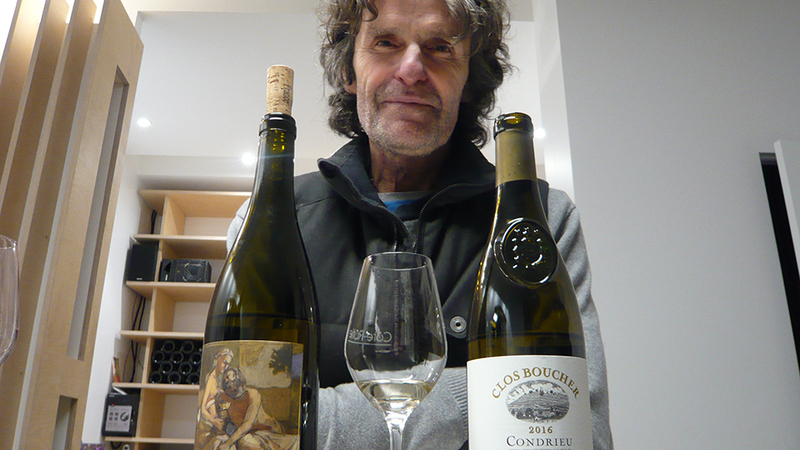 Yves Gangloff, an Alsace native, began his wine career at Delas Frères in the 1970s and now produces one of Condrieu's top bottlings from his own vines. At Condrieu and in the northern sector of Saint-Joseph in the Malleval/Chavanay/Saint-Michel-sur-Rhône area, conditions were far better. A healthy crop of grapes was harvested, the largest since 2011 and of a quality and style that many producers compare to 2010. As is the case around Hermitage, the wines as a rule are much livelier than their 2015 counterparts, showing vibrant citrus fruit, floral and mineral qualities while the previous vintage emphasizes pit, tropical and even exotic fruits like mango and papaya. While Condrieus aren’t usually considered wines to age, I found a number of ‘16s that I suspect will reward at least five years of patience. That said, I have no doubt that the wines’ ineffable perfume, which for many people is the calling card of the appellation, will still fade away fairly quickly, as it always does. To my mind, Saint-Péray is currently the most exciting appellation in the northern Rhône Valley. There is a palpable sense of excitement surrounding the wines that is reminiscent of the buzz around Cornas in the early 2000s. It was just a generation ago that Saint-Péray, which produces white wines from just Marsanne (mostly) and Roussanne, was the least exciting appellation in northern Rhône, with outstanding examples virtually non-existent. Fast-forward to 2018 and many of the northern Rhône’s most esteemed producers—think Cuilleron, Chapoutier, Jaboulet, Courbis, Villard, Gaillard and Clape—have established footholds in the vineyards here and are making truly exciting, mineral-driven, finely detailed wines that in many cases can rival Hermitage blanc for quality. Fortunately, prices have yet to catch up with quality, making Saint-Péray a serious value play in world-class white wine. 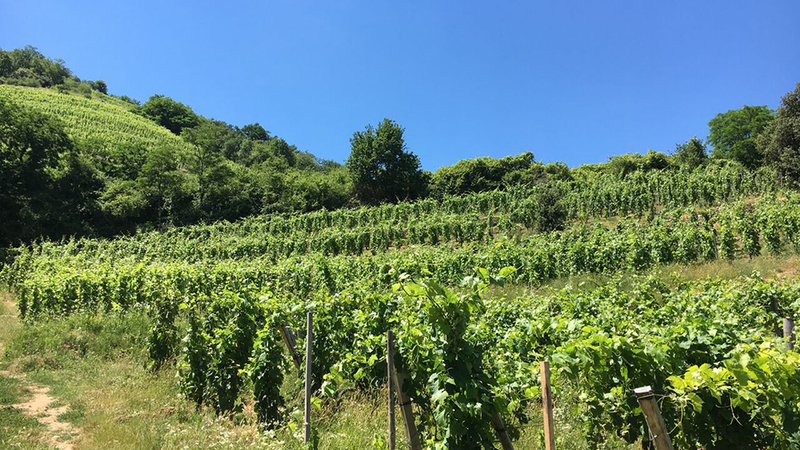 I tasted the vast majority of the wines reviewed in this article during my two-week visit to the northern Rhône in late February and early March, with follow up tastings in New York in March and April.